On this page you will find links to several "how to write lyrics" articles. These tips and techniques are designed to vastly increase your creativity. This will make lyric writing easier far and more enjoyable. They will also take your lyrics to a new level. Don't be surprised if you begin writing lyrics many levels above what you're writing now when you use these techniques! This is the reaction that I get from many songwriters (many of them have written hit singles) who I've shared these techniques with. So this is the type of improvement you can expect too! 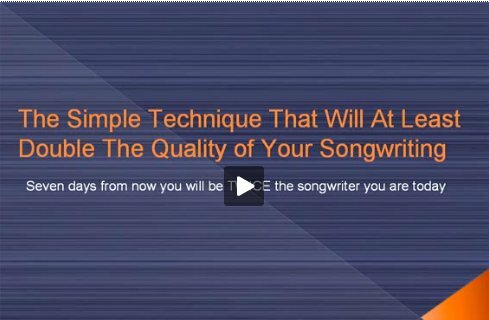 This powerful technique shows you how to "free up" your inner songwriting master and write lyrics that deliver a powerful, "emotion packed" message that deeply moves your listeners.